RS2 has been in lots of headlines this week! Thanks to everyone who keeps me posted on the latest happenings in Resistant Starch Land. The biggest piece of recent news is that the FDA now allows health claims of “preventing diabetes” for products that contain High Amylose Maize Starch! Read more here: FDA Announces Health Claim for Resistant Starch. WeDo Gluten Free Banana Flour has been the go-to source of RS2 for many people over the past couple years. They have recently changed their name to Zuvii and are branching out to new resistant starch containing products. Get ready… Zuvii Green Banana Flour is the next big thing in Baking and Nutrition! Zuvii Banana Flour is 100% Organic, Non-GMO, Gluten Free, Paleo and Resistant Starch Certified. Simply substitute Zuvii green banana flour to any baking or cooking recipe and feel the difference. Green Banana Flour is also packed full of Potassium and Resistant Starch “Pre-Biotic” which makes for the ultimate addition to your smoothie or morning shake. Reference cited: Direct fermentation of potato starch wastewater to lactic acid by Rhizopus oryzae and Rhizopus arrhizus. It’s great that our internet gut gurus can read an abstract of a paper on producing industrial lactic acid from raw potato starch and make the conclusion that potato starch is somehow harmful to humans. I guess by this logic, corn is also deadly because certain microbes turn it into ethanol. Full text if interested. Spoiler alert: The terms “fatty liver,” and “IR” do not appear in the paper. Increases Body Fat: After 12 weeks, the Hi-Maize people had “Not Significant” levels of extra fat. Raises TG (Triglycerides): The triglycerides of the Hi-Maize subjects was raised in a significant amount! What do the researchers say? “…the increased partitioning of FAs toward TG storage in a neutral-lipid droplet may be beneficial in blunting the lipotoxicity of lipid species…” Keep in mind, the paper did not say that RS2 raises triglycerides to dangerous levels, it just says they increased a small amount. In this case, maybe a good thing. Raises LDL: The massive raise in LDL was from 1.8 to 1.9, with a .1 variance. “Not Significant” according to the authors. HAMS-RS2 intake improved meal glucose tolerance in patients with [diabetes] possibly due to higher postprandial GLP1. This paper tested specific metabolic markers of a specific population: people with T2D who are on meds and well controlled. Results: RS2 is good! 3. Taking potato starch as a prebiotic is recommended by idiots on the web without science or evidence, and it will eventually make you gain excess weight. This one literally blew up my inbox! Wow. Let’s take a look at some recent “idiots” recommending potato starch. Luckily, resistant starch is found in a range of delicious foods. Legumes, beans, whole grains and some seeds have it, as do uncooked potatoes and unripe bananas. Products made from these foods, including bean flour, potato starch, tapioca starch and brown rice flour, also count. 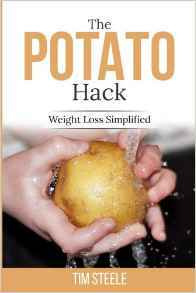 If you are on a higher-fat, low-carbohydrate diet like my Eat Fat, Get Thin plan, I suggest adding potato starch to your diet because it is well tolerated by most. Be careful to not use potato flour, which is NOT recommended. Bob’s Red Mill Unmodified Potato Starch provides a great source of resistant starch. That being said, you can add resistant starch to your diet without adding any digestible carbohydrates. For this purpose, many people have recommended (and are getting good results with) Bob’s Red Mill Raw Potato Starch. Bob’s Red Mill Unmodified Potato Starch (NOT potato flour) is one of the best sources of RS with approximately eight grams of RS in one tablespoon. Potato starch is generally well tolerated even by those who react adversely to nightshades. Raw Putatoh Tsarch is da Bomb! Resistant Starch Alters the Microbiota-Gut Brain Axis: Implications for Dietary Modulation of Behavior. These results indicate that diets based on resistant starch can be utilized to produce quantifiable changes in the gut microbiota and should be useful to “dial-in” a specific microbiome that is unique to a particular starch composition. RS might have benefit to patients with ulcerative colitis who are at an increased risk of developing CRC [colorectal cancer]. The Therapeutic Potential of Resistant Starch in Modulation of Insulin Resistance, Endotoxemia, Oxidative Stress and Antioxidant Biomarkers in Women with Type 2 Diabetes: A Randomized Controlled Clinical Trial. Supplementation with RS2 may be improved glycemic status, endotoxemia and markers of oxidative stress in patients with T2DM. Baseline insulin sensitivity affects response to high-amylose maize resistant starch in women: a randomized, controlled trial. Consumption of HAM-RS2 at 30 g/day in the form of a snack food item was associated with improved insulin sensitivity in women with insulin resistance. Resistant starch for modulation of gut microbiota: Promising adjuvant therapy for chronic kidney disease patients? 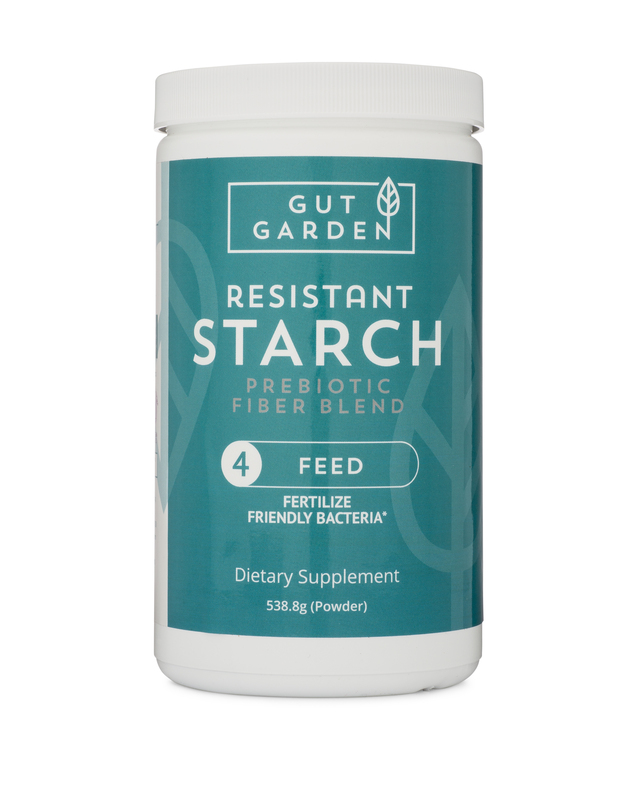 Resistant starch (RS) is a type of dietary fiber that can reach the large bowel and act as a substrate for microbial fermentation; for these reasons, it has been considered to be a prebiotic. Few studies have analyzed the effects of RS on the gut microbiota in CKD patients. This review discusses recent information about RS and the potential role of the gut microbiota, with a particular emphasis on CKD patients. Resistant starch alters gut microbiome and metabolomic profiles concurrent with amelioration of chronic kidney disease in rats. I always enjoy your comments and emails about field-sightings of RS and potato starch in the news. Keep ’em coming! RS2 from raw potato starch, Hi-Maize, and green bananas is being studied extensively for its gut-health benefits. If you want to try at home, simply take a couple spoonfuls a day. If I ever find any reason that RS2 is harmful or dangerous, you will be the first to know.